Squash House Quilts: Winter Fishing Adventure! In case you wondered where I've been since my last post, I'm here to tell you! First, I've been doing a lot of practicing on Vinnie. There hasn't been much to show other than random doodles, feather and panto practice and even some stencil practice. I promise the next quilt I put on Vinnie will be the real thing! 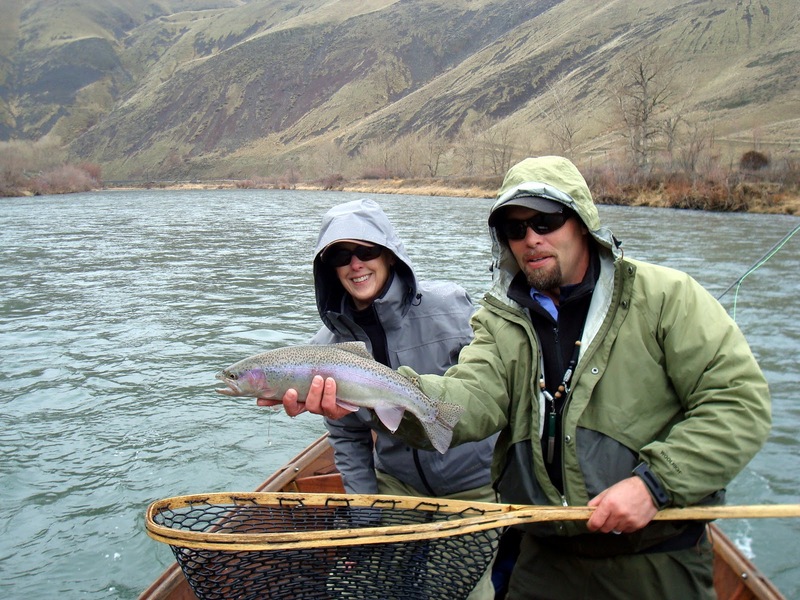 The past few days we have been in Yakima, Washintgon at Canyon River Lodge fishing with a guide from Red's Fly Shop! Mr. Squash and I have birthday's two weeks apart, so this year we decided to give ourselves this trip for our birthdays! We've always wanted to fish the Yakima River and we finally got the chance! 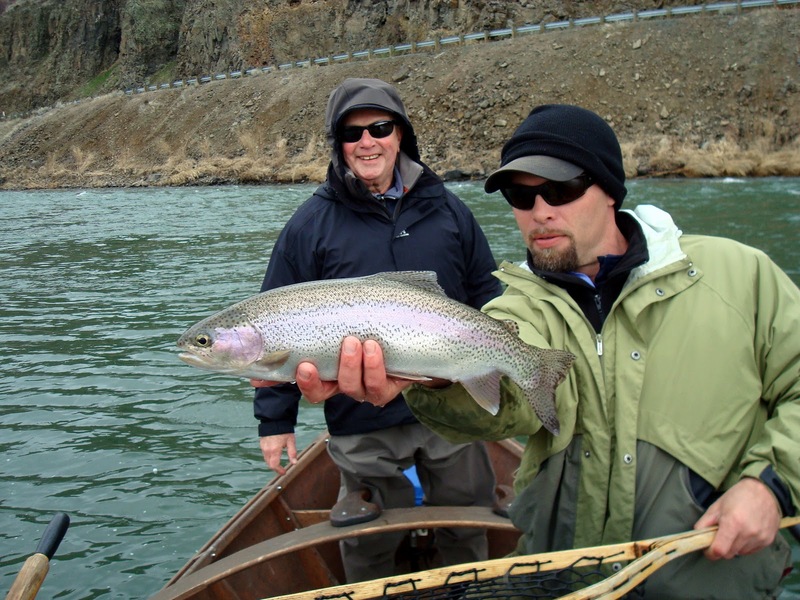 It is a rare, year-round trout fishing stream and holds some beautiful, native Rainbow trout! 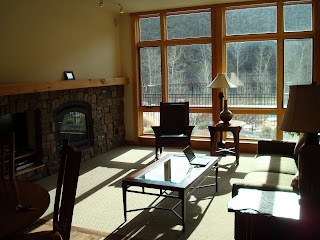 We were stunned at how beautiful the lodge was! 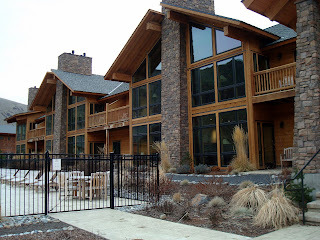 Here is a photo of the back of the lodge. Those tall windows to the right of the fence are the main part of the lodge. Our room was on the ground level, just to the left of those windows. 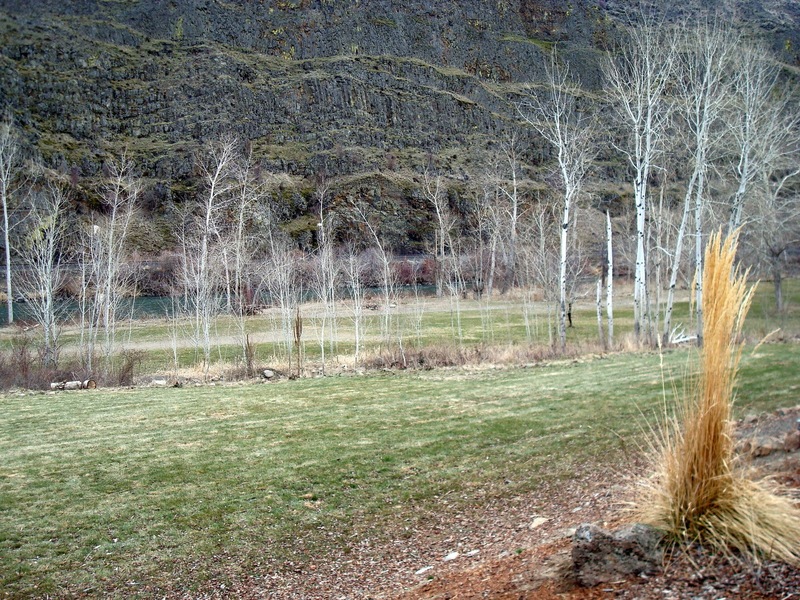 The lodge is set in the middle of the Yakima River Canyon - with nothing else but a few privately owned cabins for miles on either side! In the distance behind those trees is the Yakima River. I took this picture standing just outside of our room. Our room was more of a small condo than a hotel room. Here is the living room - gas fireplace and all! On the other end of the living room is the dining/kitchen area. 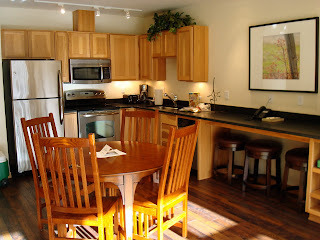 Granite counters, full size appliances and everything needed to cook and serve a meal! We cooked our dinners each night rather than drive in and out of the canyon in the dark. This was the master suite - there was another bedroom with twin beds! We slept like babies to the sound of the river outside our window! Here is the best part! We caught lots of HUGE Rainbow trout! This was one of Mr. Squash's catches. One great thing about having a guide is that they do all the handling of the fish - you just catch them, bring them up to the boat and the guide (Derek) unhooks the fish and releases it back to the river - of course with a quick photo-op beforehand! This Rainbow I caught was the same size as the one above (about 18-19"), but the photo was taken a little farther away (honest!)! I can't begin to tell you how cold it was! We put up with rain, sleet, hail and wind! 500 feet up the canyon walls it was snowing! Thanks to Gore-tex shells and four layers underneath my fishing waders, I was pretty warm. 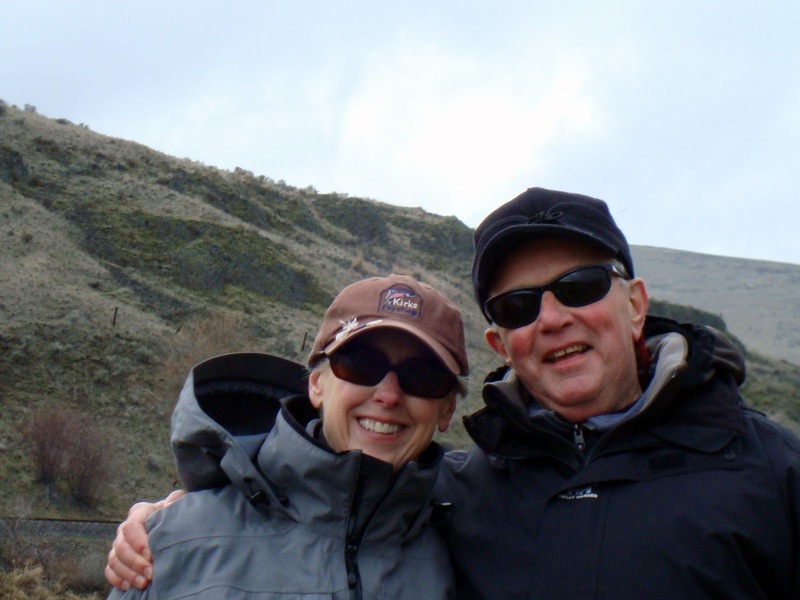 Here are the two happy customers at the end of a long, productive day of fishing! 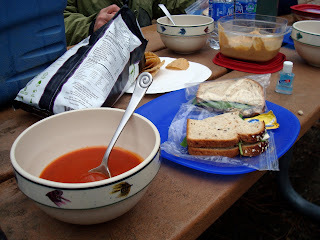 Oh - and the best part is that Derek brought along lunch that he and his wife made for us! Tomato basil soup, chicken salad sands, hummus and chips, Valentine sugar cookies and apples! Check out the bowls - they even have dry flies on the side! That hot soup was so welcome - it really helped get us through the rest of the afternoon! 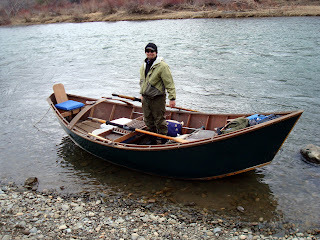 Here is Derek at the end of the trip - his drift boat was a gorgeous, wood boat and quite comfortable! Wow! 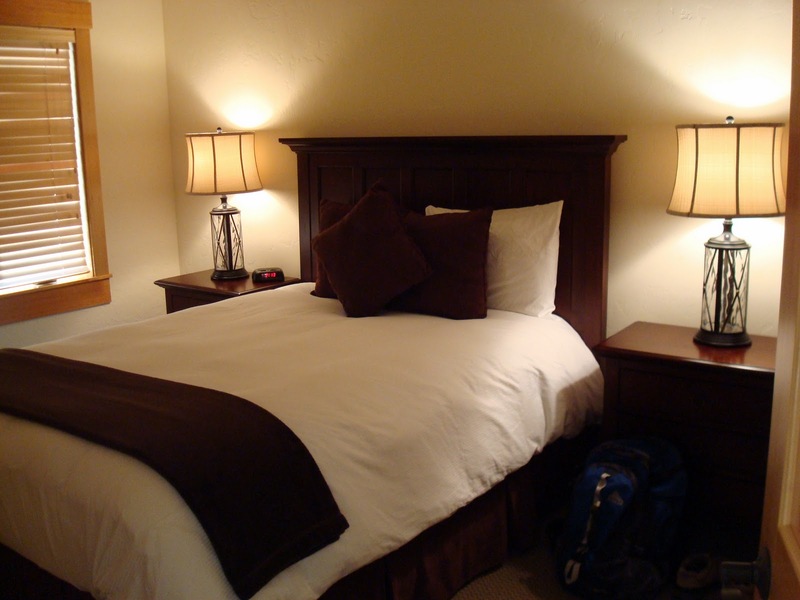 Gorgeous lodging. You two are very dedicated fisherfolks. I'd need my electric underwear! I can imagine what a fun quilting retreat it would be there. The lodge looks awesome. I might have done more lounging than fishing with such nice living quarters! :-) That's my kind of fishing where someone handles the fish and I just catch them!! Well, that's usually how it goes when I fish with Scott anyways! LOL! Looks like you both had a wonderful time!! This looks so wonderful! Have to put it on my list of places to go! 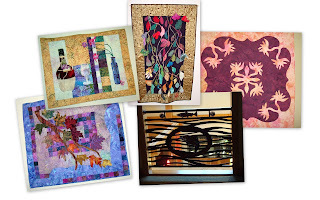 A quilt retreat~~now there is a great idea. Have fun on Vinnie. Let's see if this commwent works. My last two did not...our internet has been off and on. You and Mr. Squash know how to take a fishing trip. But after a day spent in the chilly weather, I think the fireplace might be in order to warm toes and hands...along with a hot toddy of choice. Nothing is better than wonderful people - Scott and I hope one day to be able to meet up with you and Mr. Squash again. Wow! What a wonderful trip to celebrate your Birthdays. And what a great location for a quilt retreat. 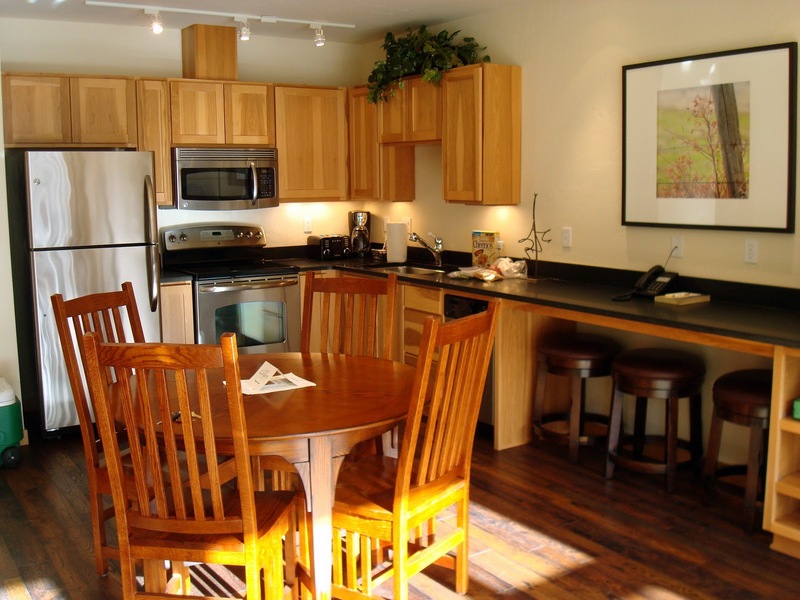 The Lodge looks like a great location to spend some quality time no matter what you want to do or not do. Sounds like the perfect birthday gift for both of you! Blogging is the perfect way to journal about it! Wow, you've been having lots of fun. And here I was going to ask you earlier when was fishing time. What an awesome time you had!! Beautiful, how fun! Godd for you guys taking a birthday vaca!!!! Love the quilts too! Wow! Definitely a piece of heaven on earth. You guys are hearty souls to brave the cold like that. I'll just bet you slept like babies every night. Happy Birthday you two. What a fabulous place to spend time fishing. Got some big fish. I am glad to hear you were prepared for some cold weather. Looks like a fantastic place to have a quilt retreat! Now, that looks like a beautiful vacation spot. Love the fireplace in the room. Happy Birthday to both of you! That sounds like a great place, especially with the quilting retret part! You seem to know how to dress for cold weather. The fish look great, it must have felt nice at the other end of the line. My dad and brothers go fishing on the Colorado River twice a year with a guide, but usually it is really hot. They love it! What a wonderful adventure the two of you had for your birthdays! The lodge looks beautiful, the fishing looks even better! I have the whole set of dishes with the flies up here at the cabin. The bowls are huge aren't they? Candace this looks like my kind of vacation. Love the scenery and lodge. Now that would be a fun retreat. I could live in that lodge! Beautiful. Looks like a fun place to go! Oh my goodness that looks cold but you look so happy. Gorgeous accomodations. Lucky you! You really should look into the quilt retreats they have there. What a setting! Oh my gosh. So so much fun!! I'm grinning from ear to ear from you. Love your life.